When city guide Firas Zakri takes you on a tour of Berlin, don’t expect to see the Brandenburg Gate, the city’s famous TV tower or other well-known landmarks of the German capital. Zakri, who’s 34, came from Syria last year in search of asylum and soon began working for a firm that used to offer city guides by former homeless people. Now it’s branched out to offer people a new view of the city. “This year we started this project with refugee background in order to open people’s eyes about the whole story about who we really are,” said Zakri. The so-called ‘refugee tours’ have become so successful the company behind the project is looking to boost the number of its workers. “So we want to share our stories and try to change people’s mind; try to build bridges between communities because once you build the bridges and started to connect you will have different look,” added Zakri. 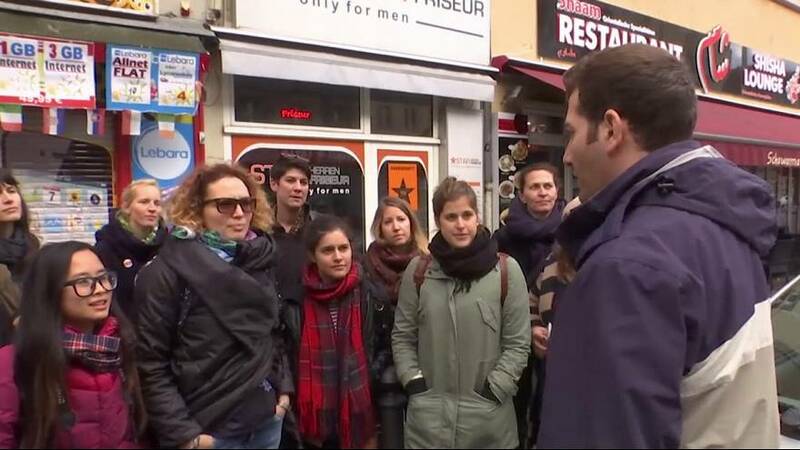 He still feels like a newcomer to the city and doesn’t speak a lot of German, but when it comes to introducing tourists to all the Berlin places that matter to asylum seekers, he’s already a true expert. Becoming a refugee is not a choice anyone makes voluntarily, Zakri says and he hopes, in some small way, his tours will help change people’s perspectives’ about Germany’s new guests.